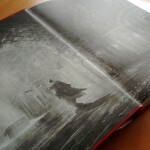 This post contains affiliate links, which means at no additional cost to you I earn a small commission if you purchase something through a link on this blog. 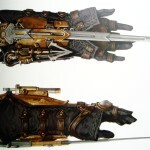 Read my full affiliate disclosure policy. 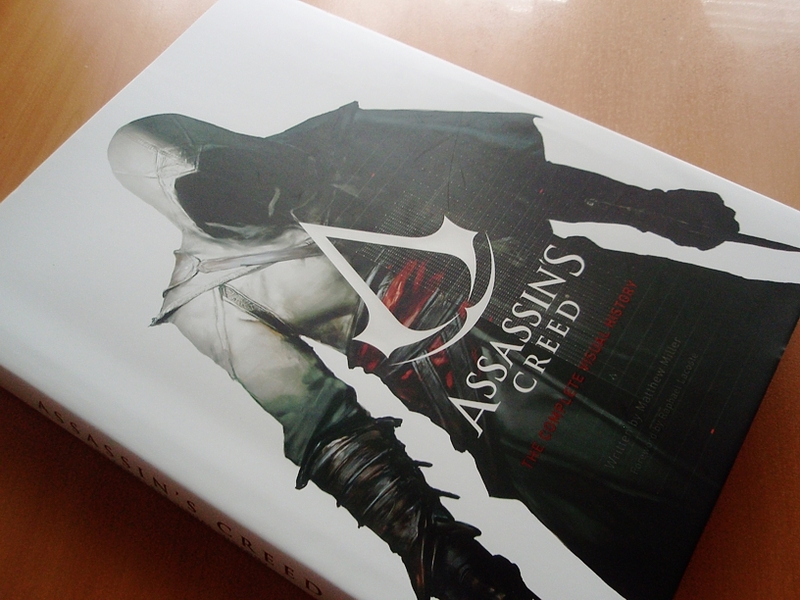 As you may or may not know, I like Assassin’s Creed *and* I have the best friends ever. 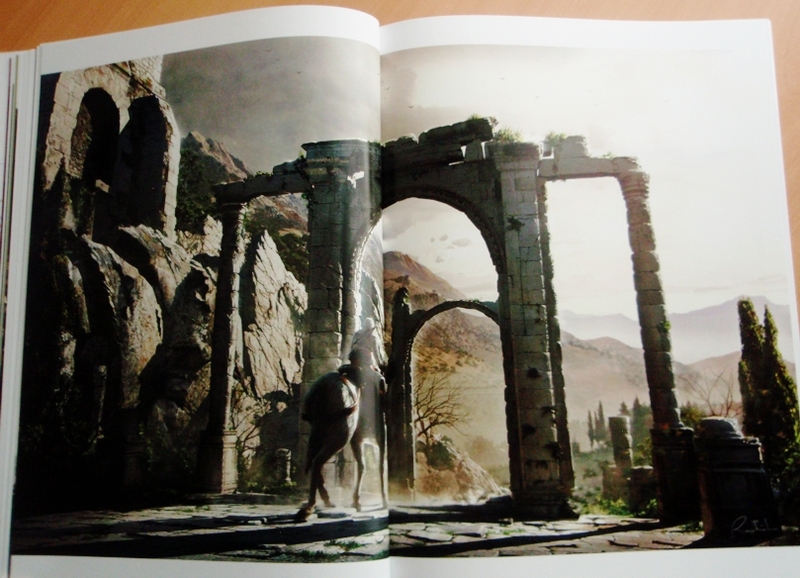 My friend E. gifted me the Assassin’s Creed: The Complete Visual History book for Christmas 2015 and I have to tell you, it’s completely stunning. 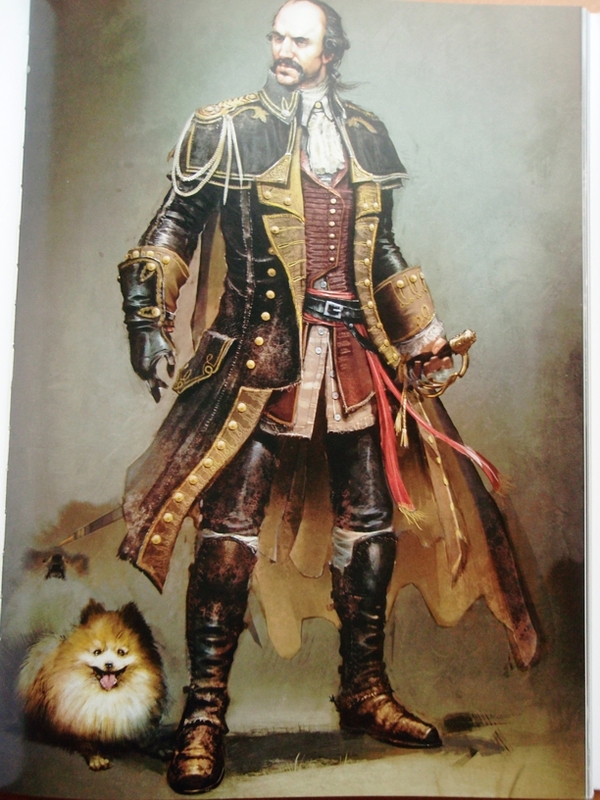 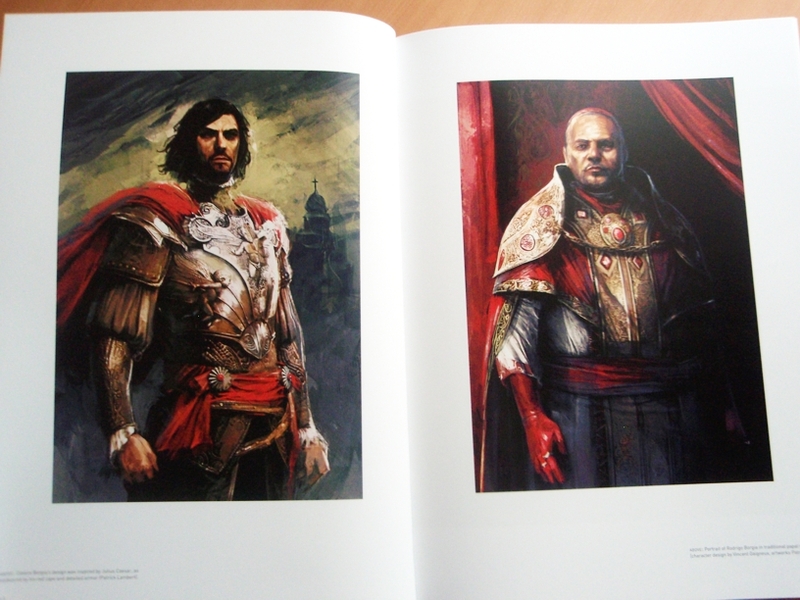 I have never owned a concept art book of anything and I always assumed such things were only filled with pictures. 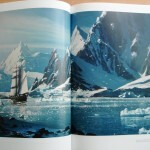 On first look, the book is very eye-catching – it’s by no means a small book! 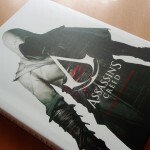 When I first picked it up (it was gift wrapped so I had no idea what I was getting into), I was surprised at how heavy it actually is – almost 5 pounds! 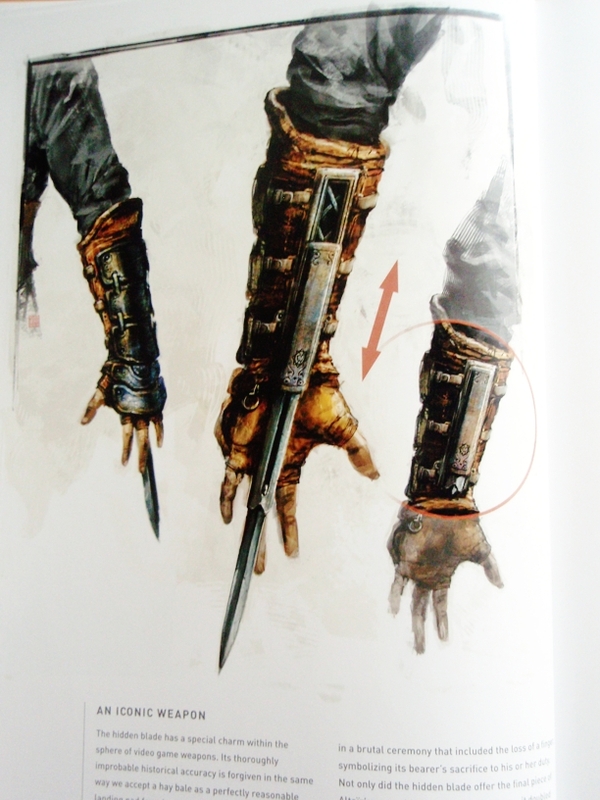 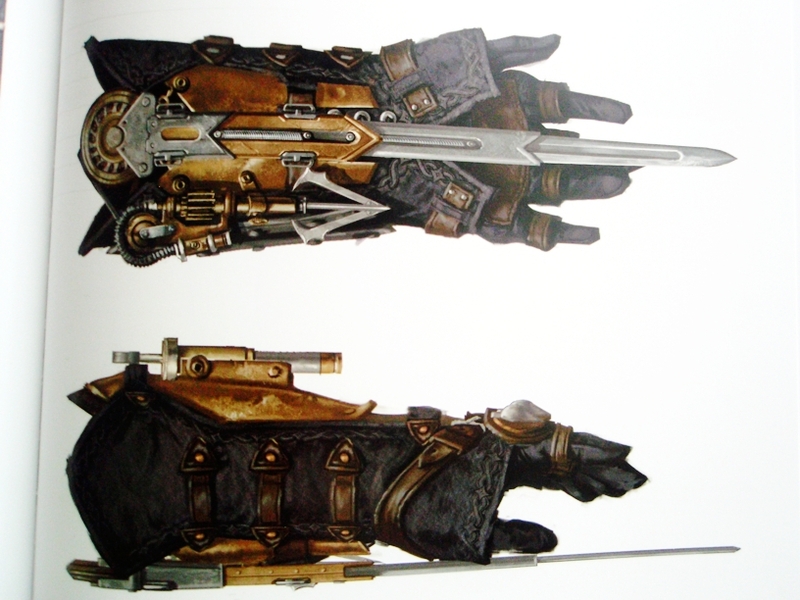 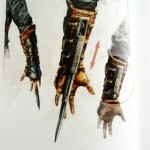 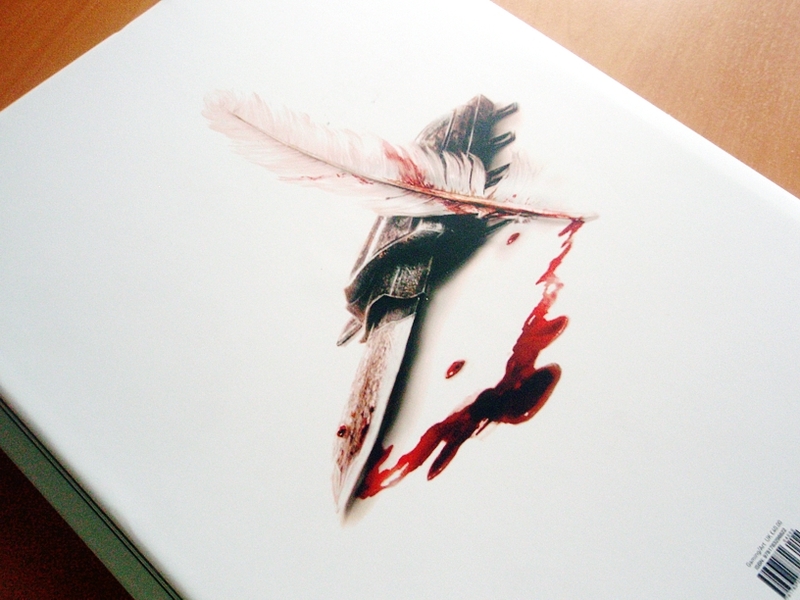 The detachable book jacket is beautiful, featuring Altair on the front and hidden blade with blood and feather on the back. 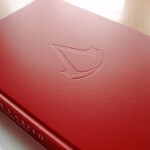 The lettering and the Assassin symbol are made in glossy finish (the text on the spine as well). 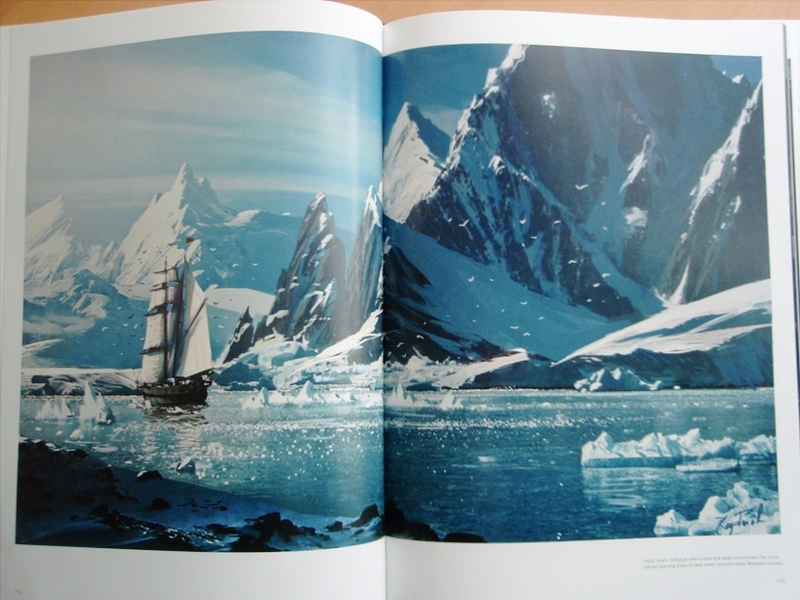 When you remove the book jacket, the book cover is made in a beautiful shade of red. 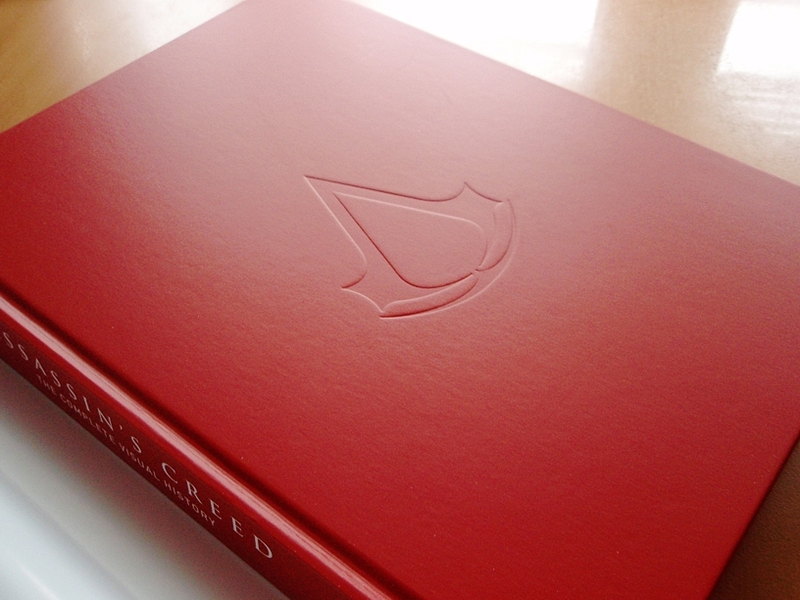 On the front cover there is an embossed Assassin symbol, the back is plain and the spine has white lettering. 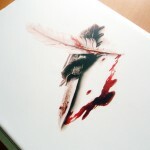 The binding seems to be sturdy. 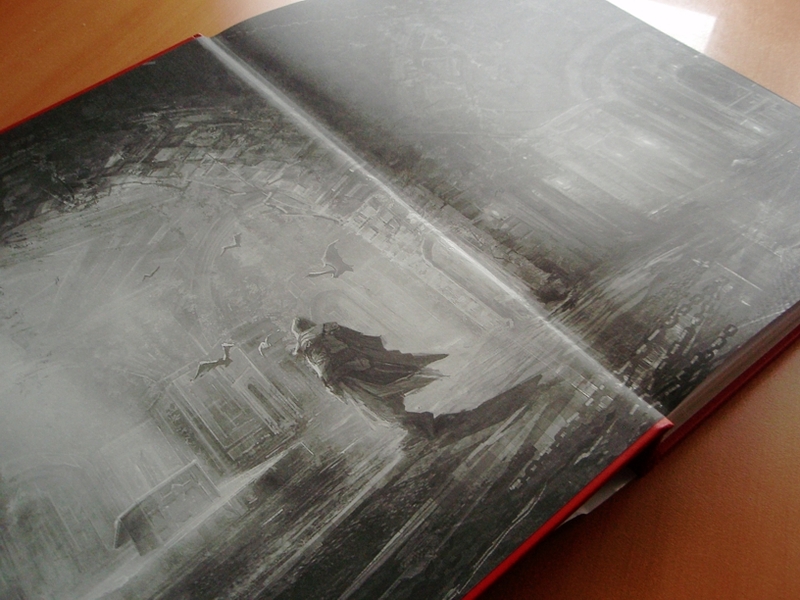 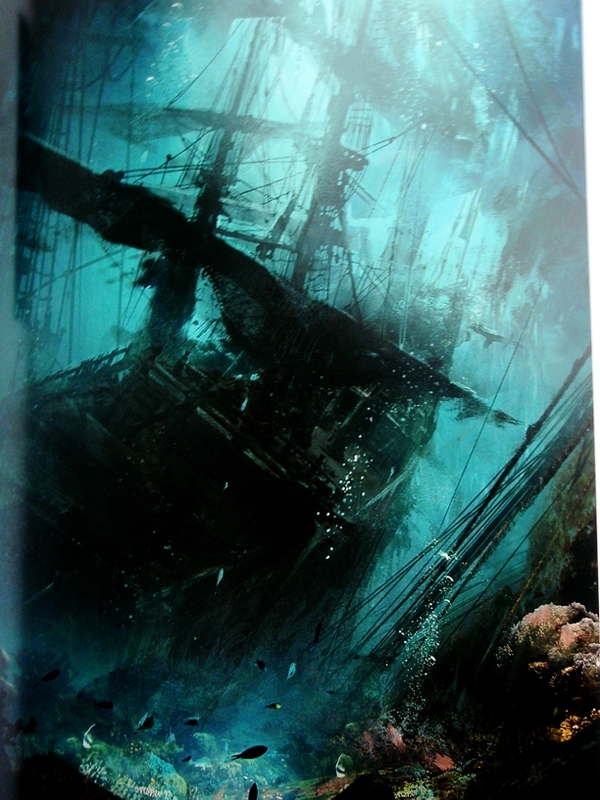 From the very first page you get to see stunning concept art, which will accompany you through the whole book. 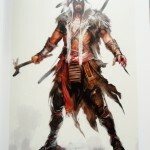 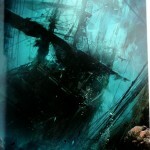 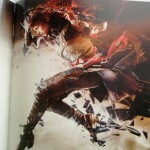 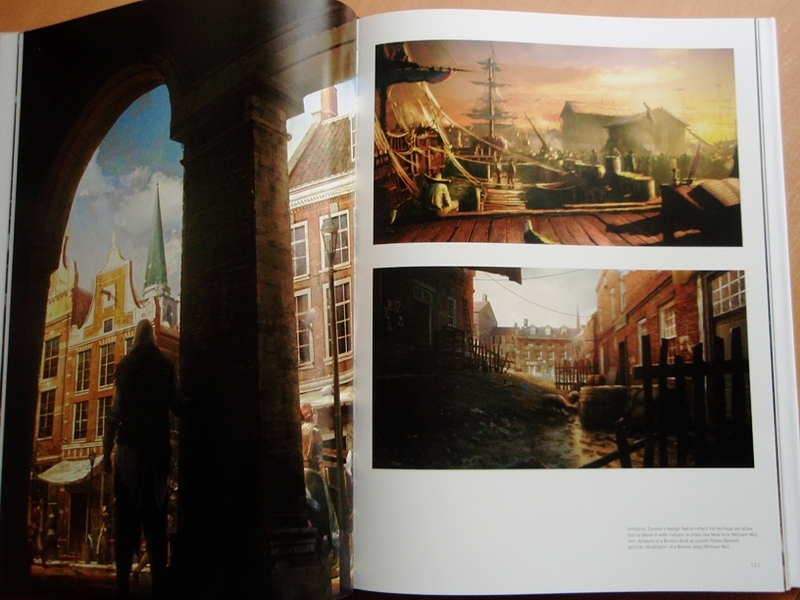 Some of the images will be familiar to people who own previously released concept art books for individual games, but there are a lot of never seen before pictures. 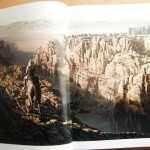 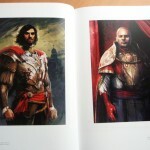 The pages are thick and glossy and the artworks within are great quality. 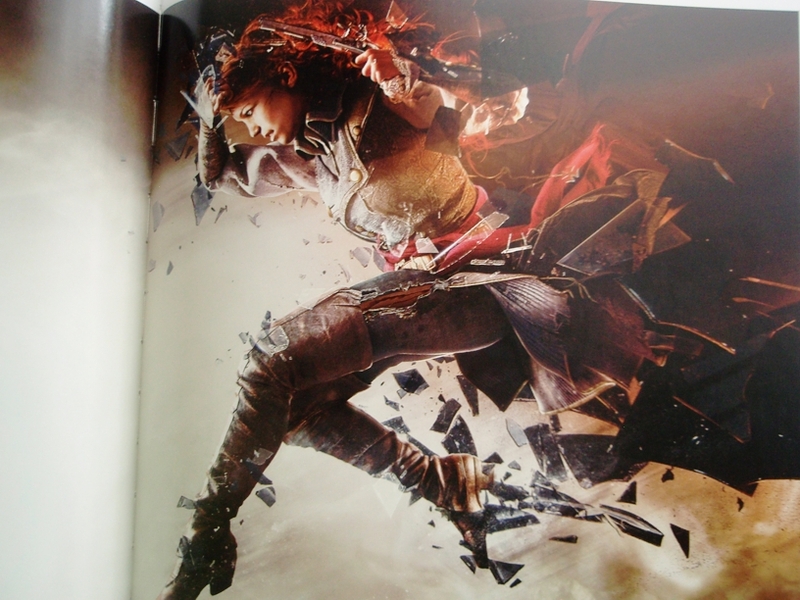 There are plenty of full-page images, including artworks that span over two pages and of course smaller images as well. 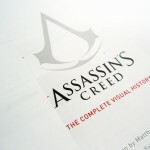 It’s a feast for the eyes of any Assassin’s Creed fan. 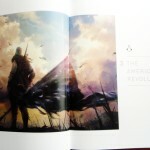 Apart from images, about 1/3 of the book is an accompanying commentary including comments from the developers themselves. 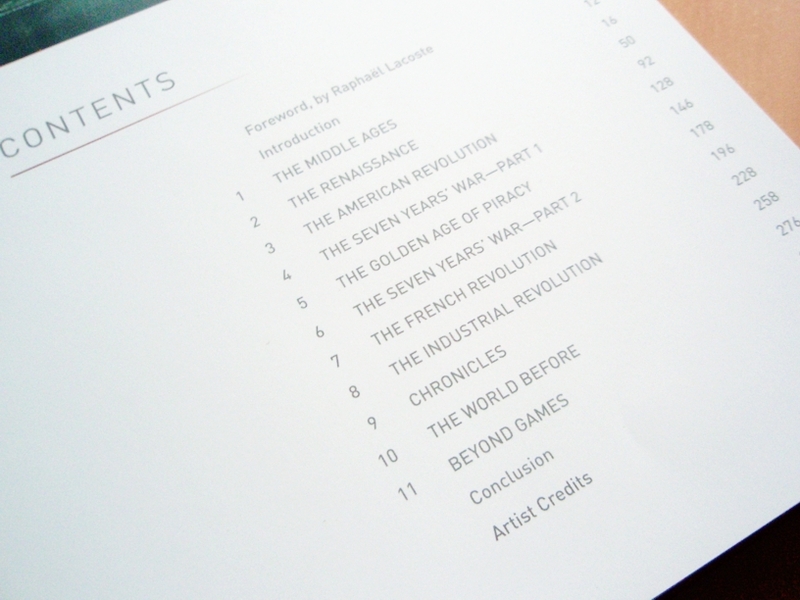 After a brief foreword by Raphaël Lacoste, Assassin’s Creed Art Brand Art Director, there is an introduction followed by 11 chapters split by era/game (including DLCs). 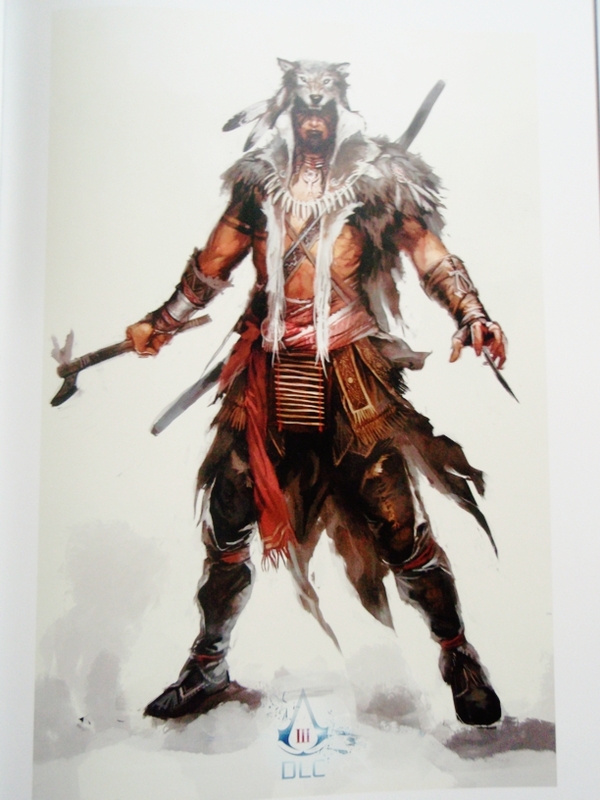 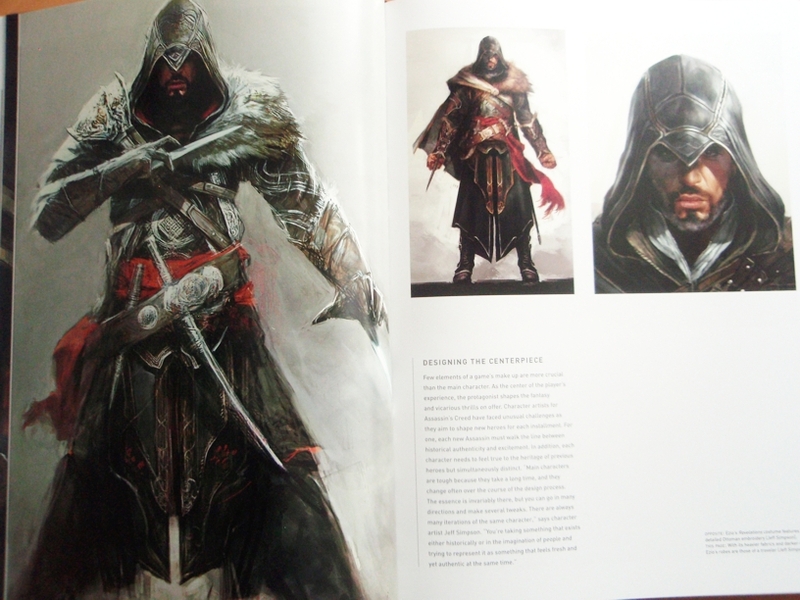 Each chapter is illustrated with stunning artwork while the text provides comprehensive guide to the history and legacy of Assassin’s Creed franchise and how the characters themselves were developed. 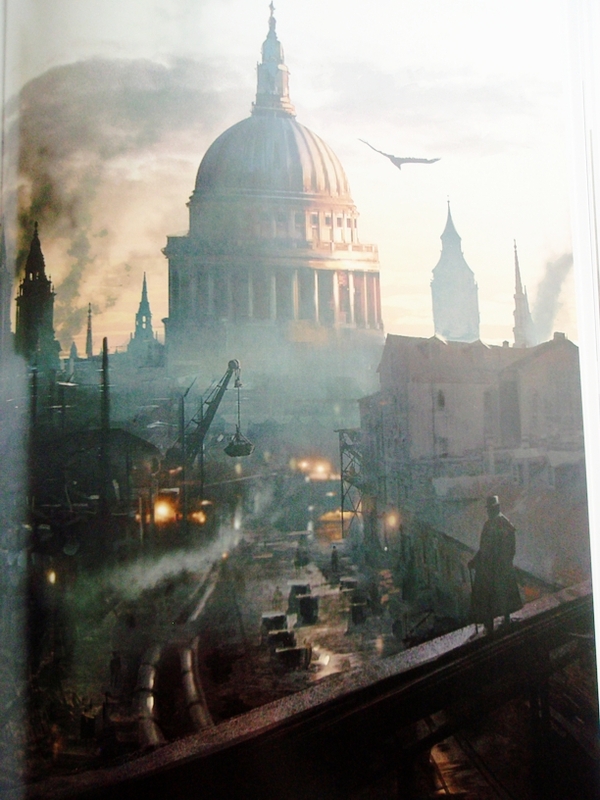 The book spans across all the released games up to date, from the original to the most recent – Assassin’s Creed: Syndicate. 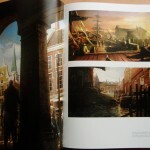 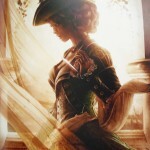 You will not find any information regarding the plot of any of the game; the commentary is more of an insight on how each place, city and character were developed and the challenges the art developers had to go through (for example, the contrast between elegance of places such as Venice and Florence, and conspiracies and murders within these places). 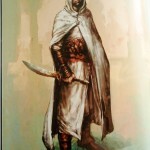 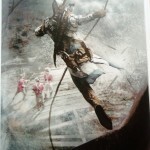 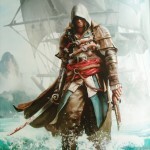 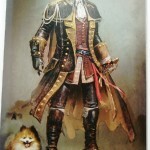 The first chapter is focused on the original game and the main protagonist, Altair. 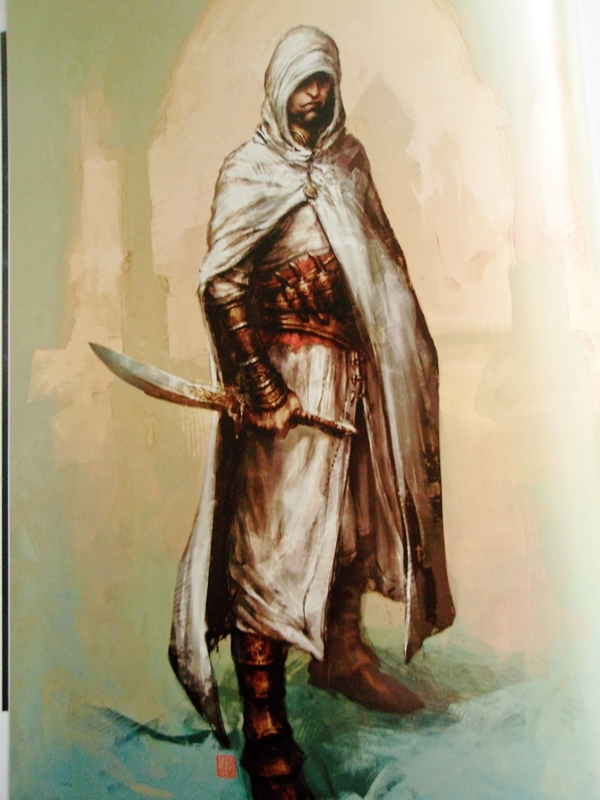 It was interesting to read that Assassin’s Creed was originally meant to be a continuation of Prince of Persia but eventually the ideas headed somewhere different and thus Assassin’s Creed was born. 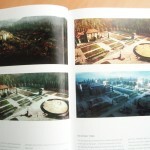 I like how the author describes the way the developers made a distinction of the three main cities in the first game and each of those cities had a specific color palette for a visual contrast (Acre, Damascus, Jerusalem). 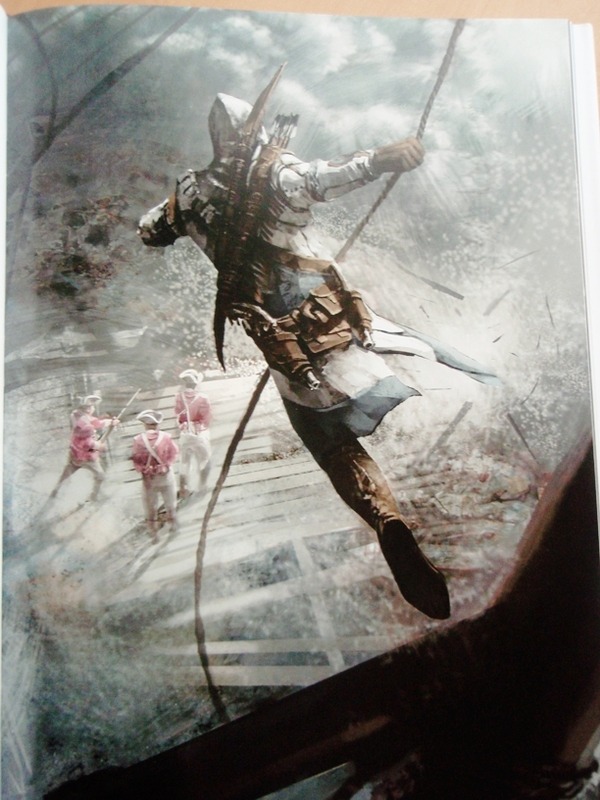 Ubisoft artists designed Jerusalem as accurate as possible to the city’s layout in the 3rd century. 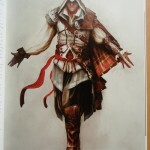 In the beginning, when artists didn’t have any script or game to look at, they could take liberties with their designs. 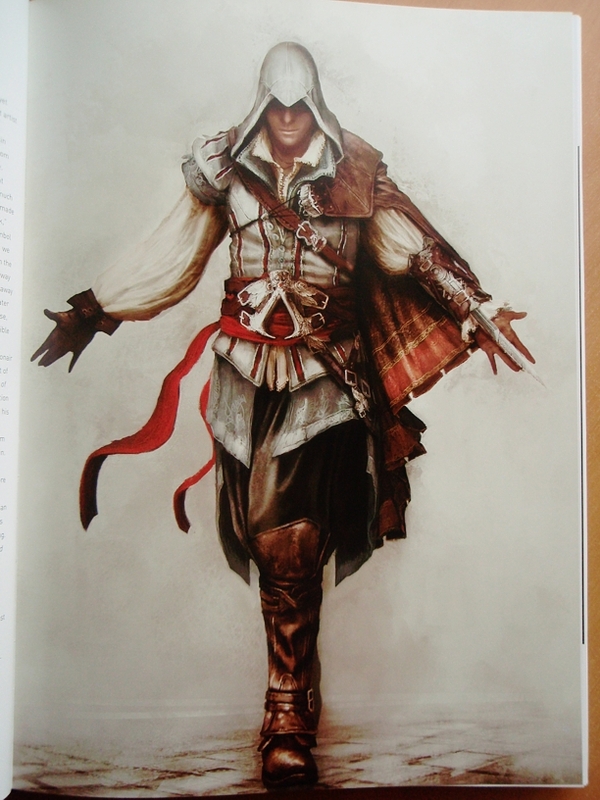 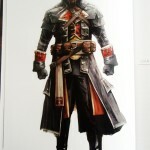 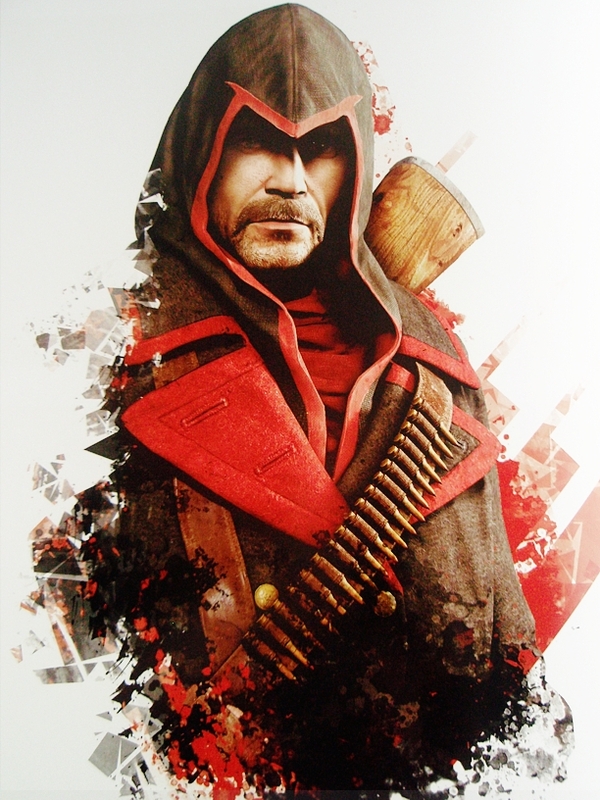 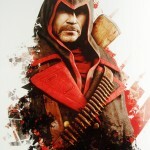 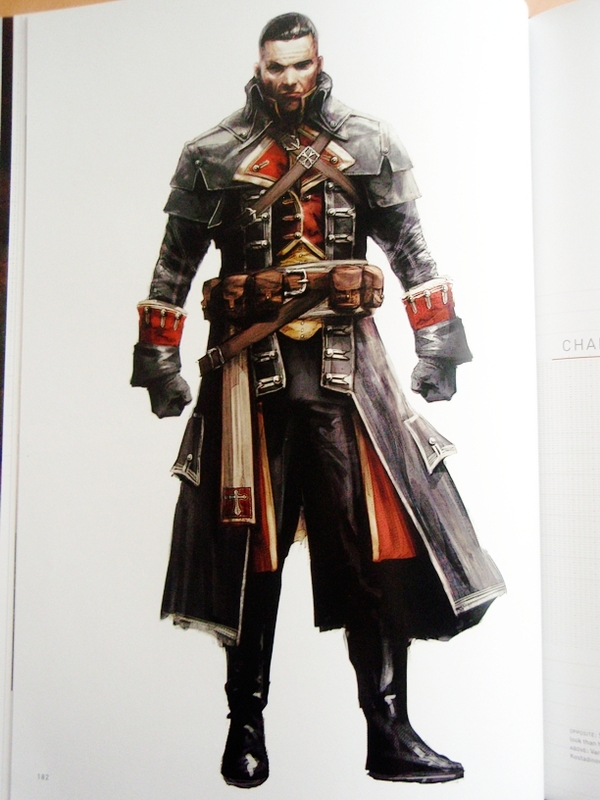 Thus the first iteration of Ezio was rather dark and influenced by the symbol of a crow rather than an eagle. 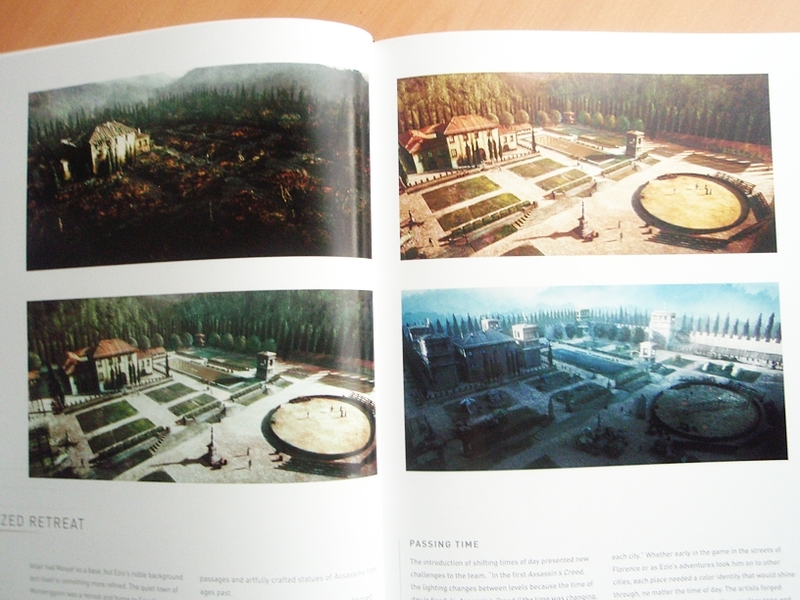 The cities were made much like in the first game, with individual palettes, except they were much more subtle. 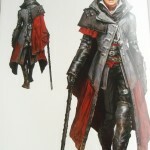 The design of Lucrezia Borgia was initially inspired by Kill Bill’s Uma Thurman. 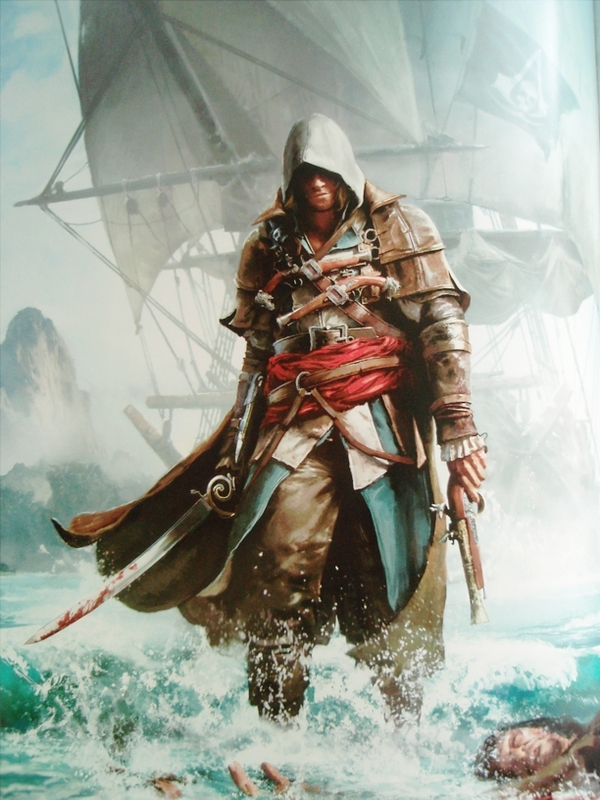 Dynamic weather and seasons were first introduced in Assassin’s Creed III. 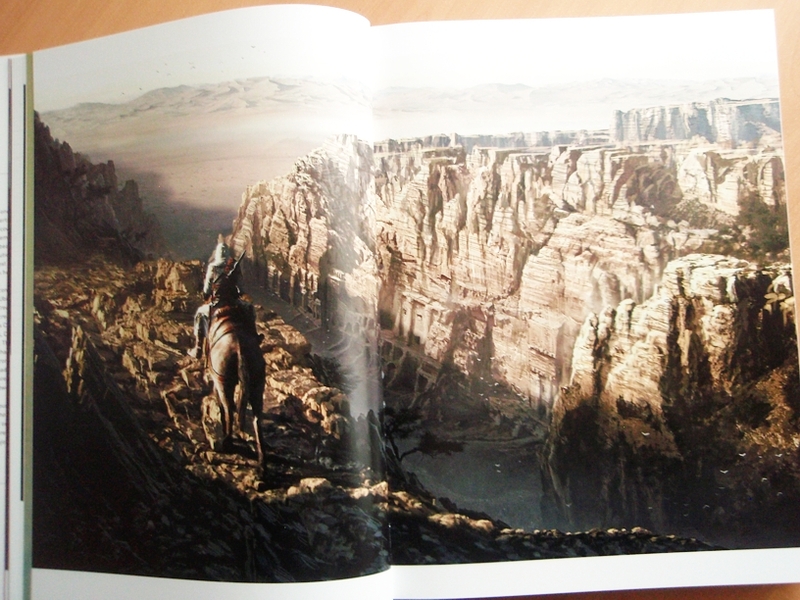 The art direction of the Frontier was focused on making individual trees, rocks, hills rather than just a repeating pattern. 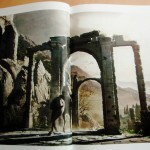 Tree climbing posed a challenge in the way that every branch and rock should be functional and not a boundary for the player. 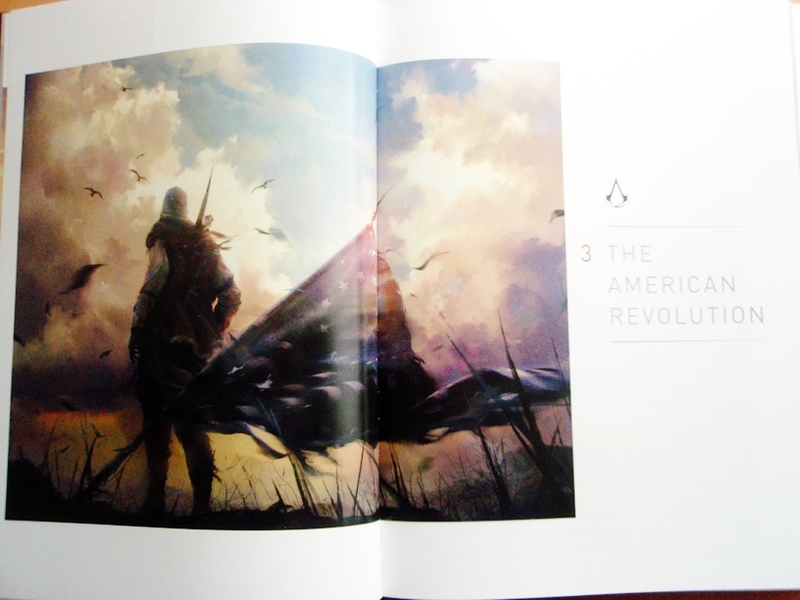 They chose blue color for Connor as a symbol of sky, water and winter. 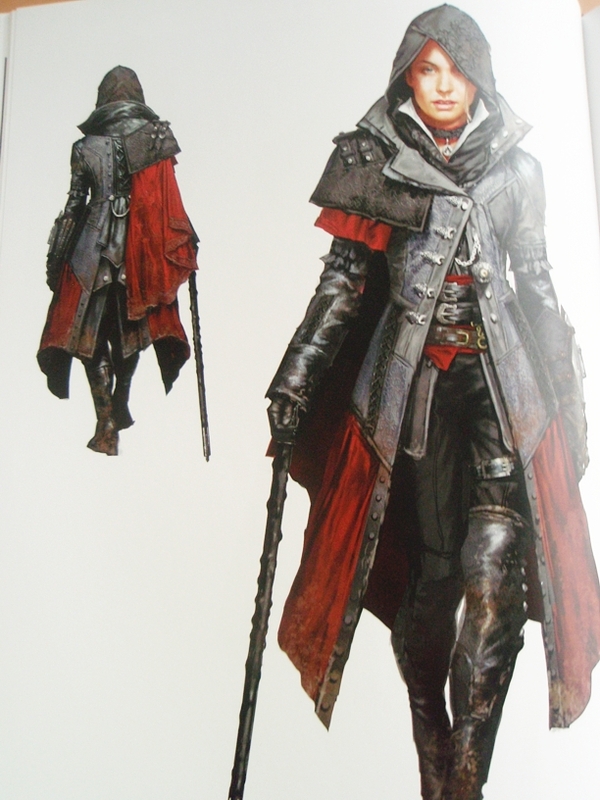 Aveline’s Assassin hood was left out but her hat represented the beak of a bird, the repeating eagle theme of the franchise. 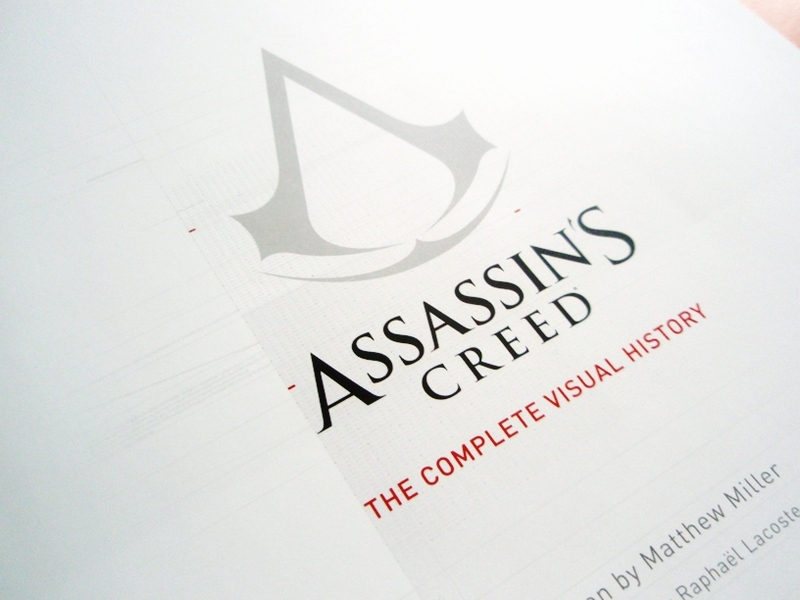 The shift into next-generation consoles allowed the artists to include more detail and the time period allowed for more accurate description of history. 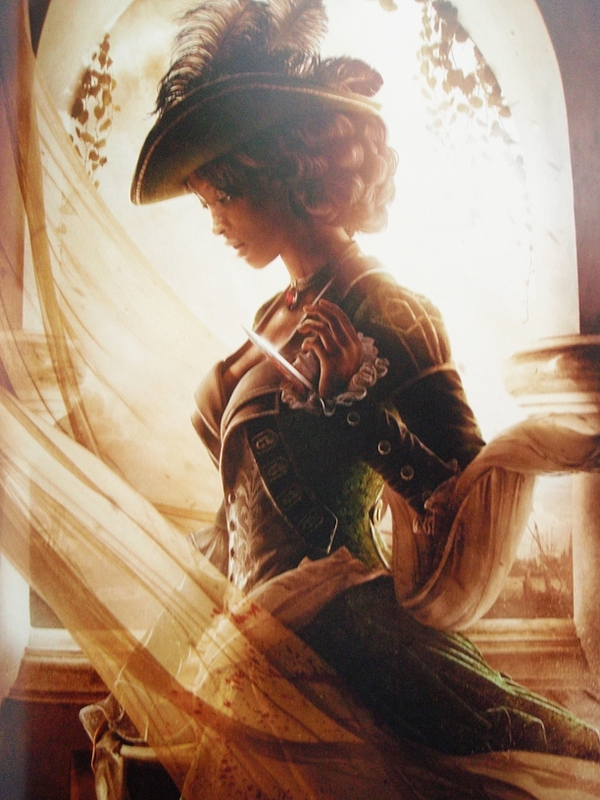 Due to time and technology constraints, the art team had to choose only 15-20 monuments in Paris that could be depicted in the game. 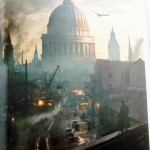 Plenty of photographic material of London in that time period allowed the art team wider reference than paintings, sketches and writings for the previous games. 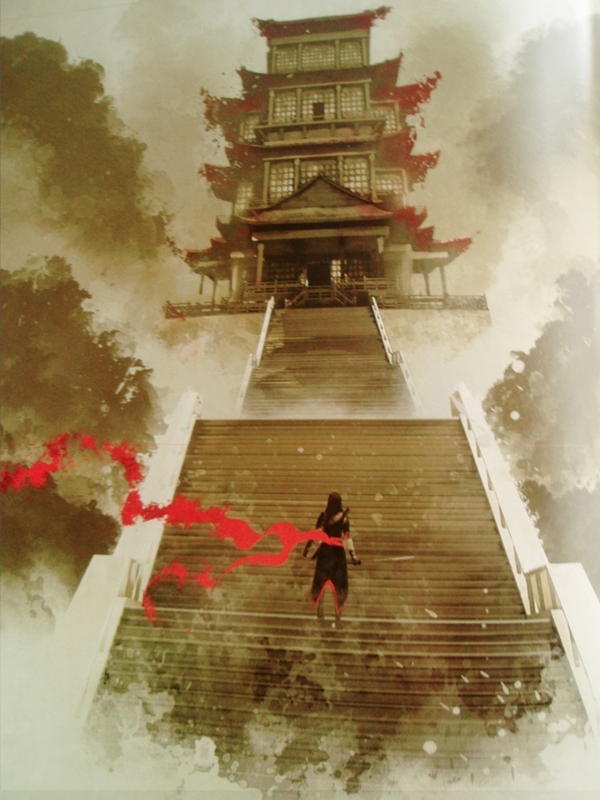 The First Civilization architecture was inspired by French landscape artists, modern Japanese architecture, Mayan and Egyptian monoliths and pyramids and glowing lights of sci-fi movies like Tron. 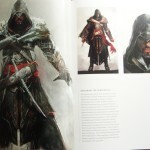 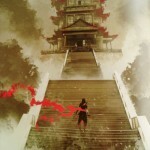 I definitely recommend this book to every Assassin’s Creed and art fan. 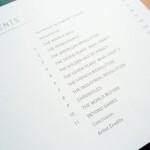 If you are one yourself or know someone who is, this book is well worth the cost!